OK - so if you are a believer in divine providence I've got one for you. Now, my theology of late is convinced that in the grand scheme of things - God isn't really concerned about my comfort, but rather about me being comforted. So..His intrusions, or invitations to enter my life in a manifest way is not so much about the thing that is being affected (i.e. my health or my wealth, or...whatever) but rather about me and my heart and my healing. 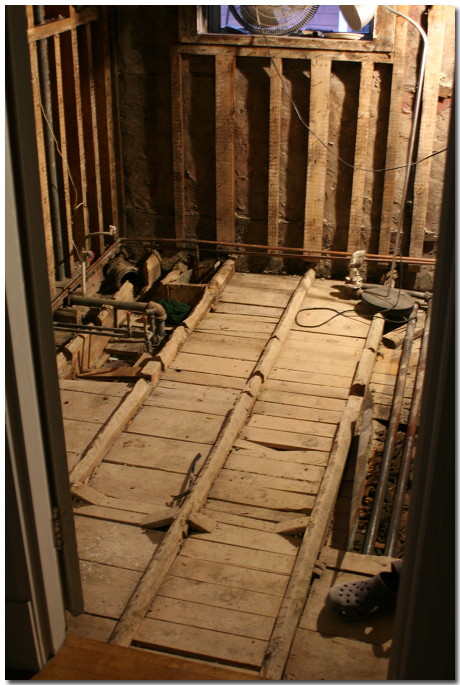 So with that intro - my bathroom is gutted. It was leaking for a while - and for those who have come to visit you will have been party to the fact that we have had no sink for months....so on Sunday the tub taps started running and wouldn't stop! Arghh...hot water too. So we had to do something. So we started in on the bathroom. Gutted it - and I mean gutted it! (see pics below!) In the process we came across the two rad pipes that run under the concrete of the floor. 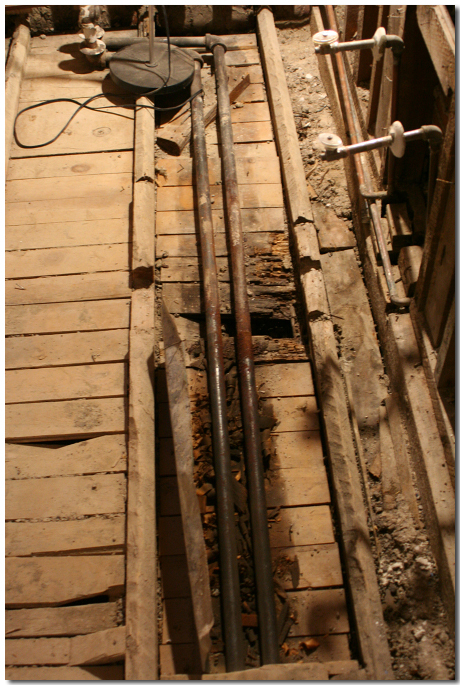 The sink had been leaking on the rad pipes for years, maybe decades and they were ALMOST RUSTED THROUGH! So if, we hadn't gutted our bathroom, if we hadn't had a leaky sink and tub we never would have found the rad pipe that was almost pooched and would have flooded our entire house if it had burst! So....I am thanking the Lord that we are spending a small fortune that we don't have in place of spending an even larger fortune if we hadn't found the problem! And...I am comforted. A lot. Too much going on in my life right now - but I feel comforted! Thank you Lord.